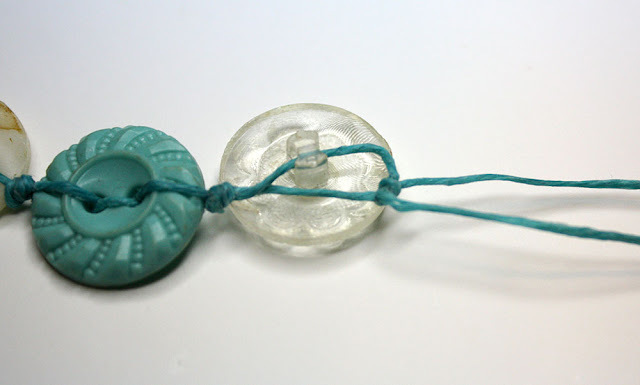 I've shared this particular method for making button bracelets in several places on the internet, but never here on my own blog. I thought it was time to change that. First, I have to admit that I'm quite the lover and hoarder of buttons. If you've visited here before, you likely know that. I don't even know exactly how, when, or why this obsession began; but I'm now constantly looking for different ways to use buttons in projects. 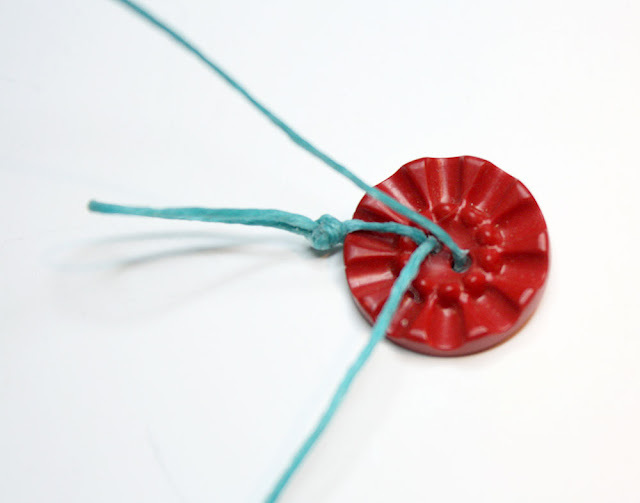 This simple cord-knotted bracelet is one of my favorite ways to use buttons in jewelry. Start by folding your cord in half. Knot it just below the fold, making sure the loop is large enough for your shank button to fit through. Pull the first cord back toward the knot, exposing the hole. Insert the end of the second cord into the same hole from the front of the button. Both cords should now be going through the first hole - one from the front and one from the back. While still holding that second cord, go ahead and insert it into the second hole, from the back, and pull tight. Insert the first cord into that same buttonhole, entering from the front and coming out the back. Pull both cords away from the loop. Holding both cords together, form a knot against the button. Repeat the steps to add buttons until the bracelet is as long as you want it. I've found that 7-9 buttons usually works well. 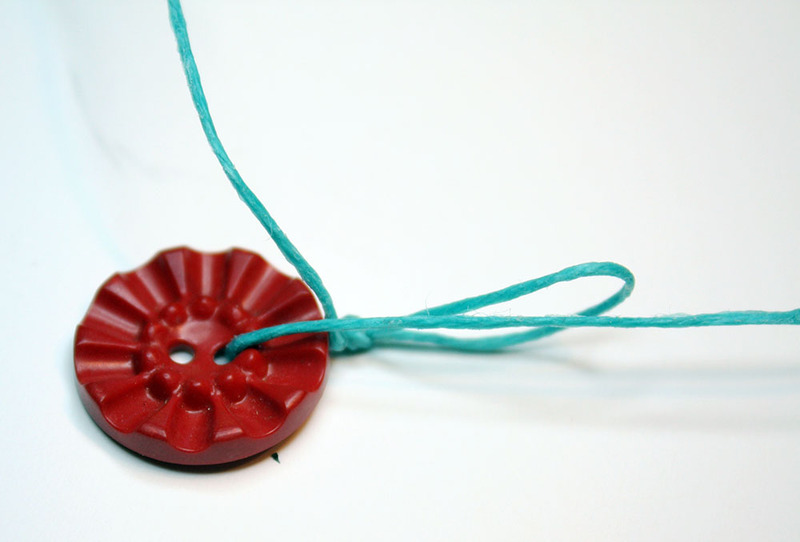 Thread your shank button onto one of the cords. 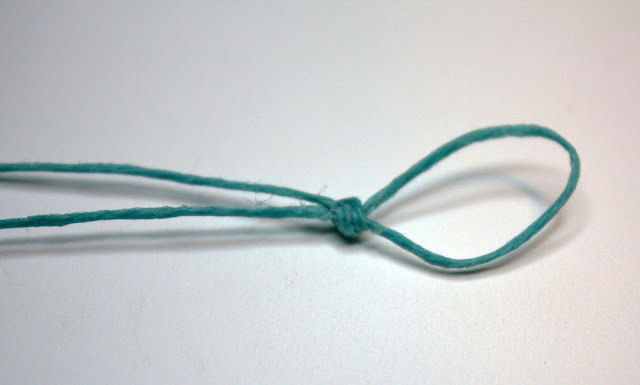 Pull it toward the last knot, but leave it a little wiggle room. 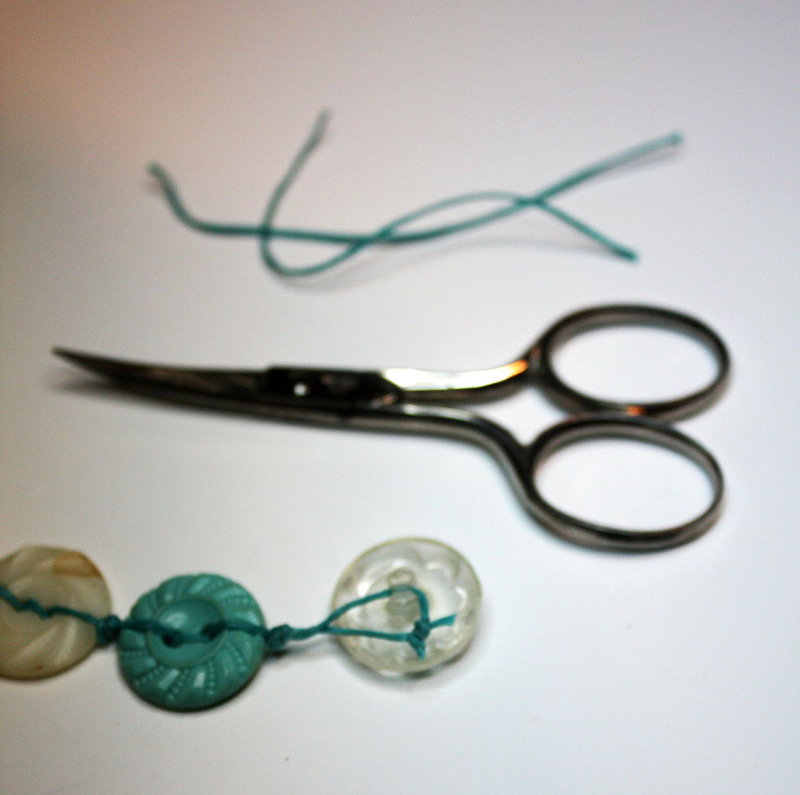 Make a double knot using the two cords to secure the shank button on the bracelet. If you use any 4-hole buttons, the same steps are used, just make sure to use the hole diagonal from your first button as your second button. This button bracelet tutorial on YouTube that I created several years ago will also take you through all the steps to make your own button bracelet. to bright and cheery color-loaded. They whip-up so quickly, you'll have an armful of them in no time! If you have any questions about this process, please don't hesitate to let me know. Now, what are you waiting for? Go make some button bracelets! I've shared this post on the following link parties, please go check them out for loads more creative ideas: Thrifty Thursday, Handmade Hangout, Flaunt it Friday, Friday Frenzy, Saturday Sparks, Sweet Inspiration Link Party, Snickerdoodle Saturday, Saturday Sharefest, Made by You Monday, Mad Skills, Tutorials & Tips Party, Inspiration Monday, Too Cute Tuesday, Recipe & DIY Linky, Talk of the Town, and Beautifully Made. Divya, Quirky? I'm not sure if that's good or bad, but I do love these bracelets for a quick project. I once sat and made something like 75 in one evening. HA!! Great tutorial Hope! I have never made a button bracelet before. I would love to make one with vintage buttons! Michelle, Aren't buttons awesome? It's like they each have their own story. This is definitely one of my favorite ways to use them. And, the bracelets are so fun to wear. Enjoy making some of your own!! I know exactly when my obsession with buttons began, it was when I started making fabric brooches. I asked my friends to bring me single buttons (all of them vintage) and also purchased some bulk quantities on Ebay. I still have most of them :) I've made some button bracelets on elastic but never with linen cord - for some reason, I always overlook linen cords as a stringing medium and they give jewelry such a smooth flow! Thank you for this idea!